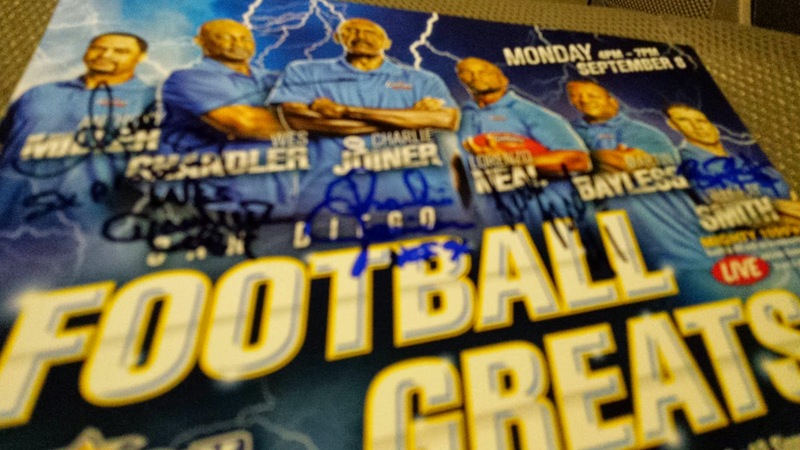 Monday night marked the beginning of the Chargers 2014 football season. 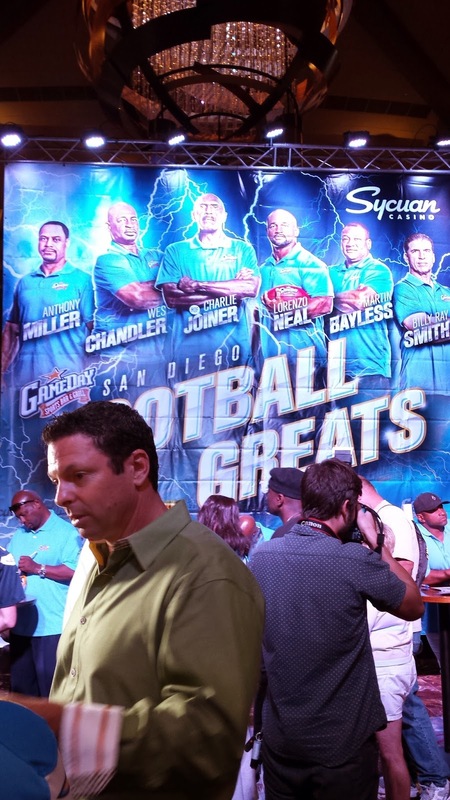 There were a few radio personalities out around town, I went to Sycuan Casino where in addition to the football game, Sycuan was hosting an autograph session with several players from the Bolts' past. 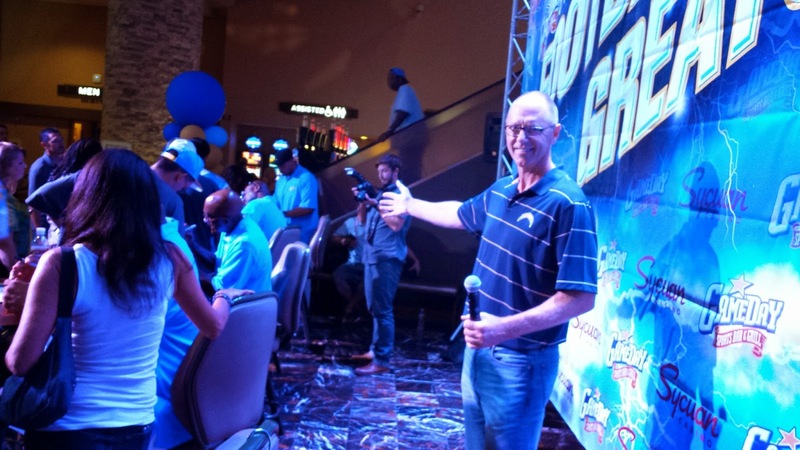 While 1090's Scott and BR were broadcasting from the Game Day Sports Bar, the other players shook hands and posed for photos while DSC's Cookie Chainsaw Randolph was the emcee. 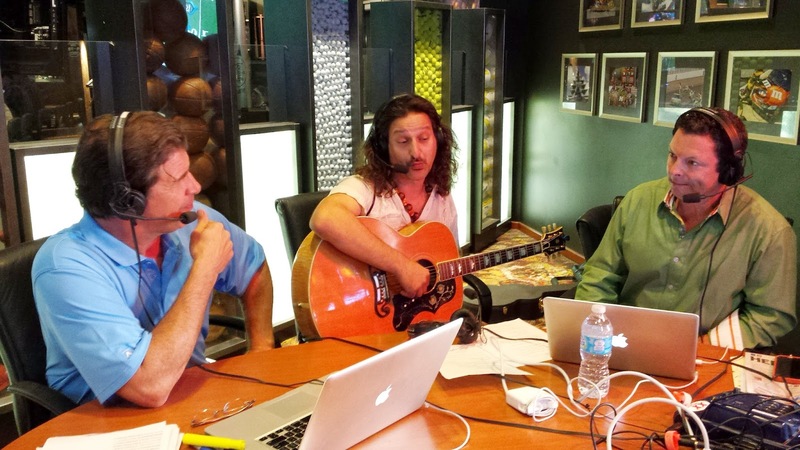 Following Scott and BR's show, Billy Ray Smith joined the other players and Scott emceed the remainder of the event. 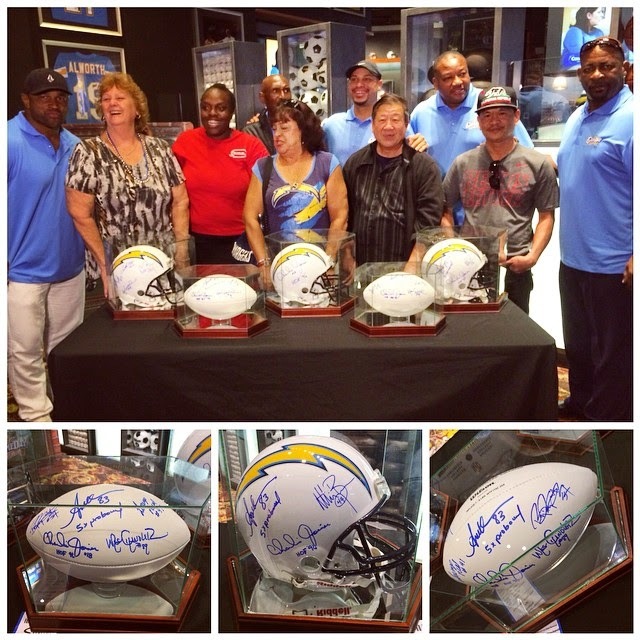 After the autograph session concluded, the group moved to the Sports Bar and enjoyed dinner while watching the Chargers game. A special thanks goes to Scott Kaplan for inviting me to the dinner. 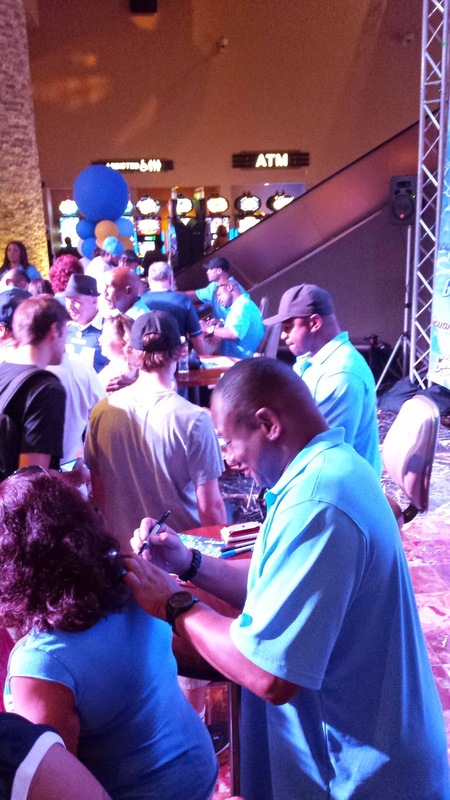 It was very surreal being surrounded by the players I grew up watching, including a Hall Of Famer in Charlie Joiner. 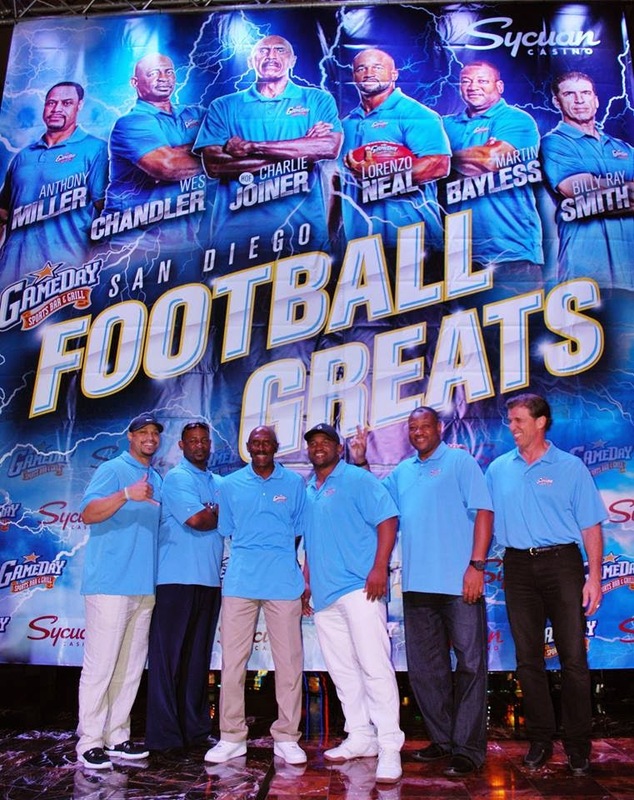 It was great hearing their takes on the plays on the TV, and hearing stories of their playing days. Thanks Scott!